Synergy Gateway offers an Online Asbestos Awareness Course will guide you through all aspects of Asbestos, from the hazards that are associated with it, to how to protect yourself with safe work practices. 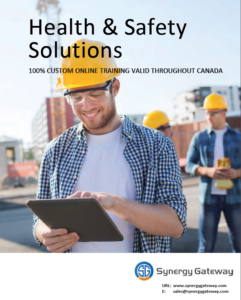 This online training course is recognized throughout Canada and is easy to complete and will leave you with the information you need to know! Our comprehensive course will explain in detail what you need to know, emphasize key points and test your knowledge retention after each module. The course has been designed to meet and exceed Occupational Health and Safety Guidelines, so by completing this course you can improve your knowledge of an important part of workplace safety. After completion of this course you will be issued a certificate of completion. Our training programs provide you access to a comprehensive learning management system, designed to allow you the ability to manage, track and record your health and safety training progress! We offer several amazing pricing solutions for individuals and organizations. Registration and booking is simple and is completed online through our partners learning management system.